Love your site!... I have been making dog treats for a few years now, I want to add icing for a more finished look. I have used the "chips"... and they melted, looked great. when I put them up (in the refrigerator as my treats need to be kept cool) the icing just fell off when I removed them from the refrigerator. 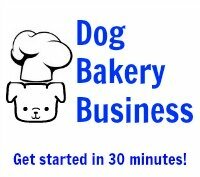 will that happen if I use the one from the K9 bakery? The powdered icing that you talked about in your blog? Is there something I need to do to make the icing stick? Yogurt chips and candy chips consist mainly of fat and sugar. Fat will melt in heat and appear to be solid when cool. That is why the icing made from the coating chips appears to hold together well in the refrigerator but starts to fall off when no longer in a cool environment. It is not hardened, but the fat has become solid. You have to heat it up to be able to spread it. Taking it out of the refrigerator is similar to warming it up. 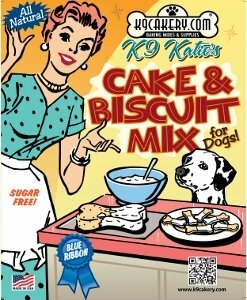 The powdered icing from K9Cakery is specifically formulated to harden and it does not melt when warmed up.